According to the American Journal of Roentgenology, the use of kyphoplasty as a treatment for vertebral compression fractures is on the rise. But what is kyphoplasty? Kyphoplasty is a minimally invasive spinal procedure given to patients who have lost height in one or more vertebral bodies because of a compression fracture. Kyphoplasty also includes a vertebroplasty, which is done to control fracture-related pain. Both procedures involve an injection of acrylic cement into the bone, but in a kyphoplasty, a balloon is also inserted that is then blown up in an effort to restore some or all of the height of the bone. Both surgeries are performed with the help of fluoroscopy, where a small camera is inserted into the area; the image that is projected on a screen guides the doctor as she operates. Kyphoplasties generally involve an overnight stay at a hospital while vertebroplasties are often given in outpatient facilities. The beauty of these surgeries is that (in most cases) the pain relief happens as soon as they’re complete. Not only that, but the rate of associated complications is low. Although kyphoplasty and vertebroplasty are popular procedures among doctors, and quite easy on the patient for that matter, they are still considered "controversial." In August of 2009, the New England Journal of Medicine published the results from two small randomized controlled trials, which found that vertebroplasty patients receiving an injection of cement and those receiving a placebo injection experienced about equal pain relief. A study published in the May 2012 issue of Orthopedic Review found that the complication rate for balloon kyphoplasty is low. Just the same, 40 percent of patients in their study (that looked at 297 people who underwent balloon kyphoplasty) experienced cement leaking outside the bone. In that same study, one patient also reacted to the inflation of the balloons (with hypotension and tachycardia) and another person went into cardiac arrest. The study reported other complications, as well, for example, infection and, post-procedure, new spinal fractures requiring balloon kyphoplasty. Cement leakage sometimes results in new incidences of pain and can increase the risk for another vertebral fracture - in a neighboring bone. A smaller study, from the University of Rochester, compared vertebroplasties (vertebroplasty is a procedure similar to kyphoplasty), in 38 patients. One group received cement injection while the comparison group did not. 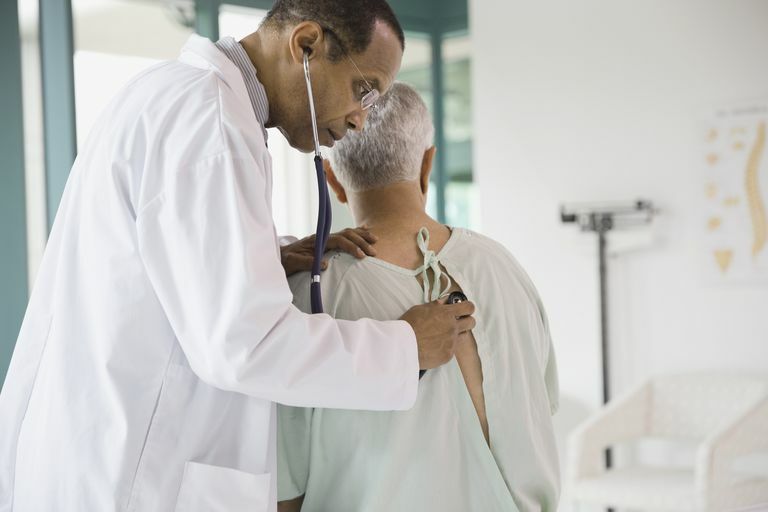 The study found that of those who did receive cement, 58 percent experienced a fracture of a nearby vertebra; of those who were not injected, only 12 percent experienced an adjacent fracture. In an attempt to resolve some of the controversies around leaked cement in kyphoplasties and vertebroplasties, a 2014 review published in Biomedical Research International compared these procedures to nonsurgical management in terms of pain, disability, quality of life, new fractures, cost-effectiveness, kyphosis correction, vertebral height restoration, and cement and other complications. The researchers found that the two surgeries make a better solution than conservative (i.e. nonsurgical) care. In this study, complications were rare, but not unheard of, and kyphoplasty was found to be better than vertebroplasty in terms of cement leaking. Bergmann M., Oberkircher L., Bliemel C., Frangen T., Ruchholtz S., Krüger A. Early clinical outcome and complications related to balloon kyphoplasty. Orthop Rev (Pavia). May 2012. Lin EP, Ekholm S, Hiwatashi A, Westesson PL.Vertebroplasty: cement leakage into the disc increases the risk of new fracture of adjacent vertebral body.Â AJNR Am J Neuroradiol. 2004 Feb;25(2):175-80. Long, Suzanne, S. et. al. Vertebroplasty and Kyphoplasty in the United States: Provider Distribution and Guidance Method, 2001-2010. AJR December 2012 vol. 199 no. 6 1358-1364 doi: 10.2214/AJR.12.8733. Papanastassiou, I., Filis A., Gerochristou M., Vrionis F. Controversial issues in kyphoplasty and vertebroplasty in osteoporotic vertebral fractures. Biomed Res Int. 2014.